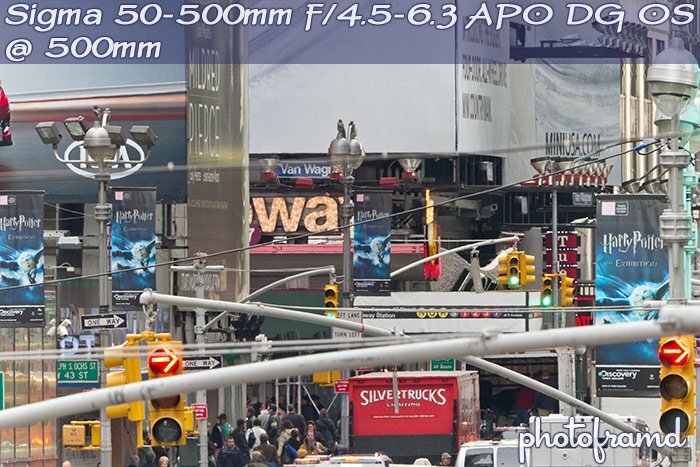 I had a chance to test the new Sigma 50-500mm f/4.5-6.3 APO DG OS yesterday in Times Square NYC. 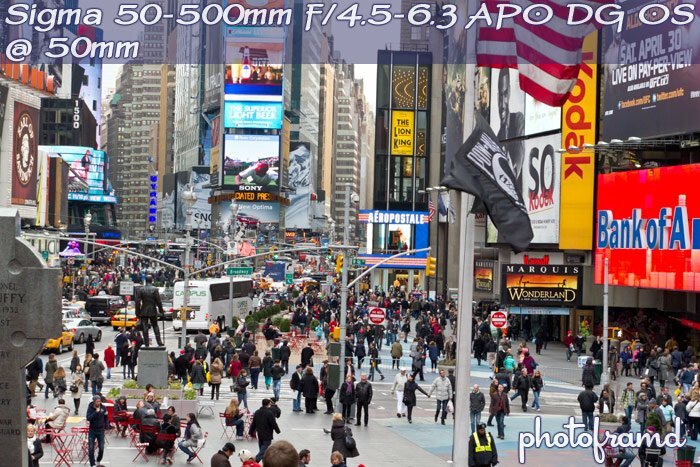 There is a reason this lens is called “the Bigma” – it is BIG and carries a 10x magnification zoom! Sigma just updated their successful lens by adding a fantastic lens-based image stabilization system that actually makes hand-held photography possible throughout the full range. Just be prepared for the bicep workout – the lens is nearly 4.5 pounds and over 12-inches fully extended! But, the new OS is top-notch. 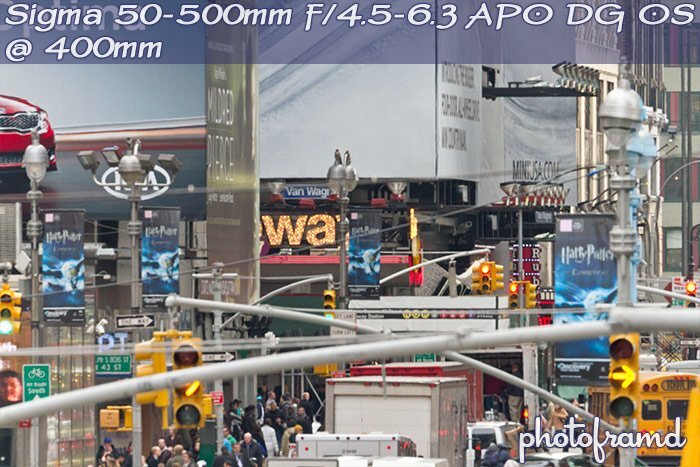 Take a look at the following hand-held photos showing the full range of the lens. I am hoping to take the Bigma birding this weekend … if the weather cooperates. Look for more on this lens to come. 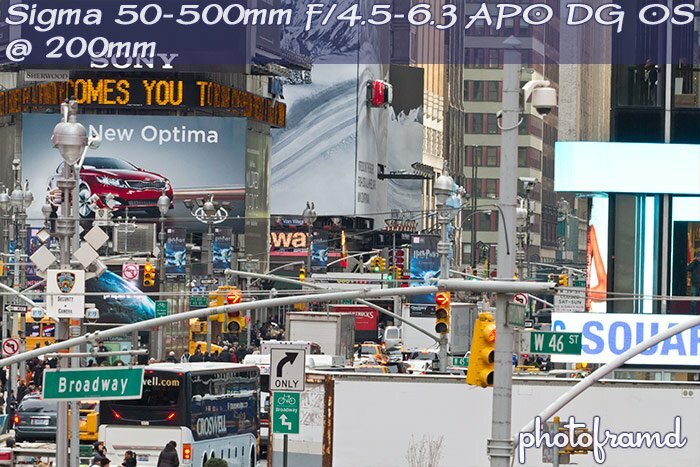 Adorama does have the new Sigma 50-500mm f/4.5-6.3 APO DG OS in stock in all mounts including Canon, Nikon, Sony, Pentax, and Sigma for $1,659 with Free shipping. 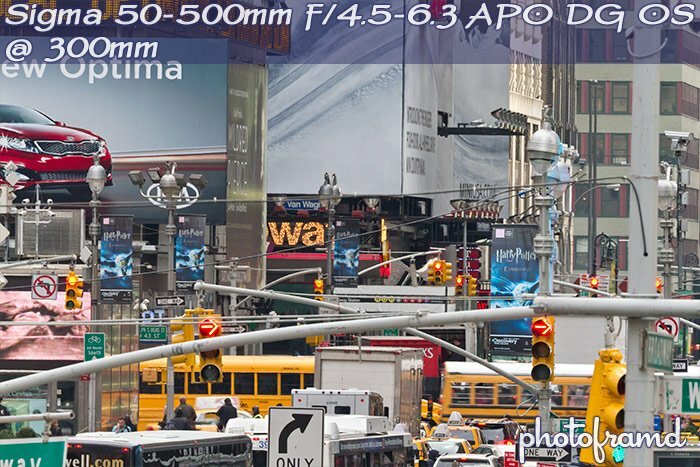 how much does this Lens cost ? 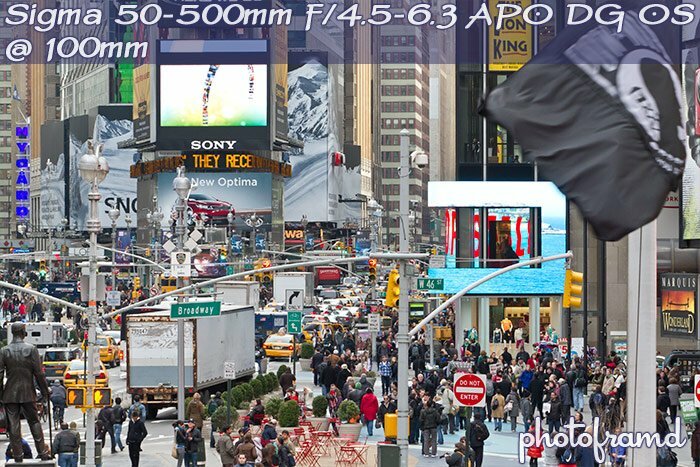 The lens is available in a Canon mount for $1659 with free shipping from Adorama.